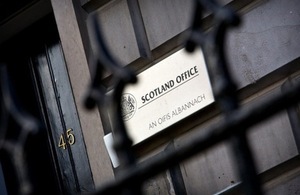 The Secretary of State for Scotland Michael Moore and Deputy First Minister Nicola Sturgeon today issued a joint statement after talks at St Andrew’s House in Edinburgh on the arrangements for the 2014 referendum. “Substantial progress has been made today, and at previous meetings, on the groundwork for an agreement and in discussing the detail of individual issues. We now need to see these individual issues in totality and have asked officials to put together a package over the next few days.